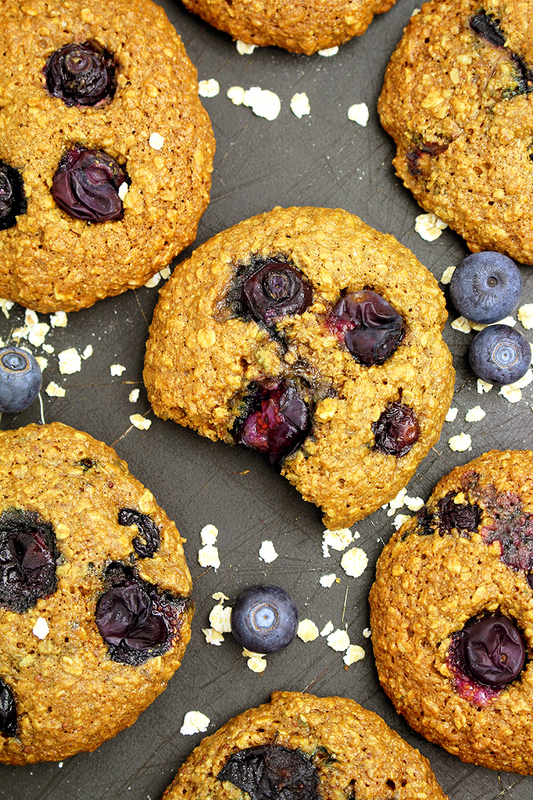 Crunchy cookies and juicy blueberries make a perfect combination. Blueberries are very healthy and consuming them regularly is very important. Oat, on the other hand, is one of the healthiest cereals. These two make a healthy and, yet delicious combination. 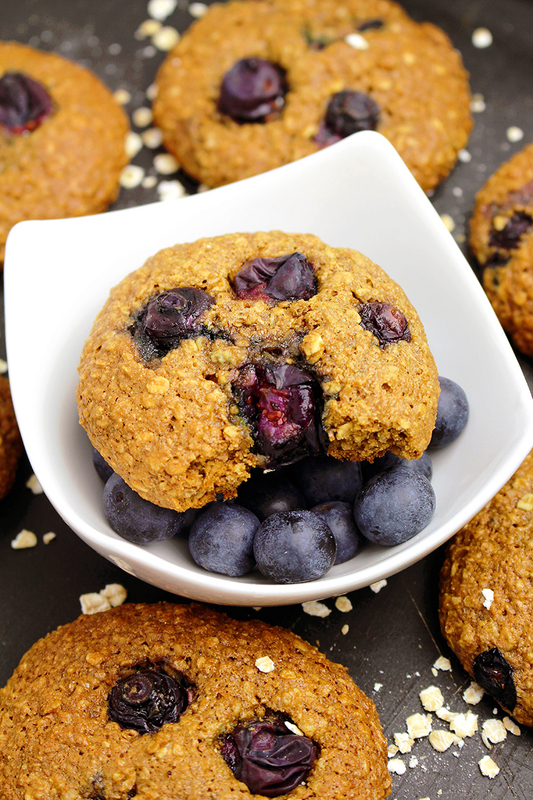 Check out our most popular recipes for healthy snacks – Easy Vegan Peanut Butter Energy Bites and No Bake Chocolate Energy Balls. They are so tasty and light that you could eat a whole bunch at once. They could be served for breakfast or snack to all those who prefer healthy diet, like my family. 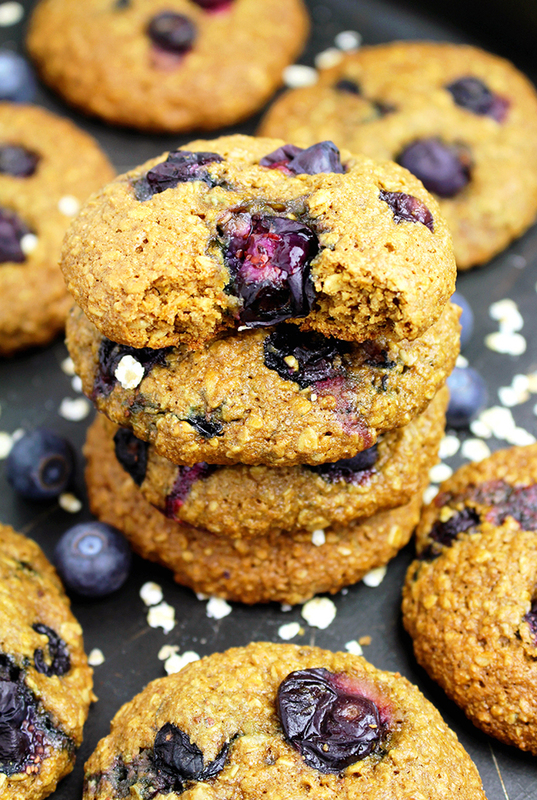 If you are looking for healthy, delicious, easy - to make cookies and you like blueberries - Healthy Blueberry Oatmeal Cookies are just right. 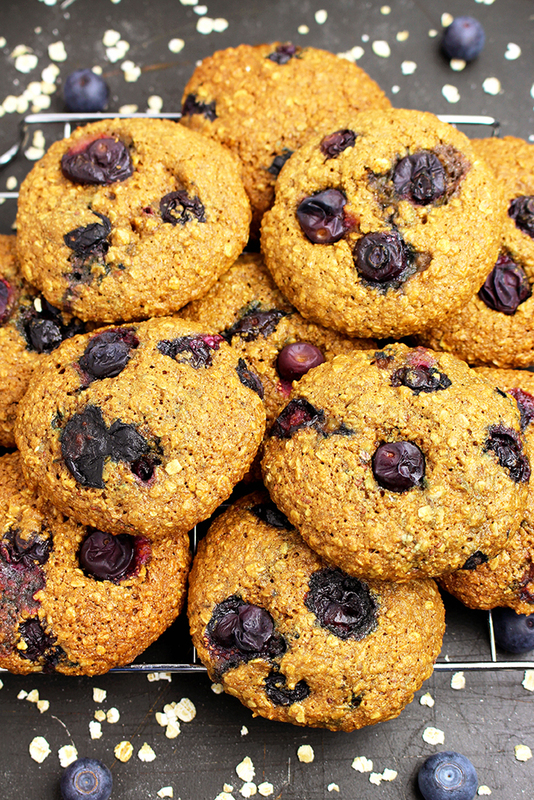 Oat, whole wheat flour, coconut oil, coconut sugar and blueberries make them irresistible. In a large dish combine quick oats, whole wheat flour, shredded coconut, salt and soda. In a separate dish, mix egg and coconut sugar, with an electric mixer at a medium speed, and then add melted coconut oil and vanilla extract. Mix until it becomes creamy, for about 1-2 minutes. Add dry ingredients and stir until well combined. Leave it in a fridge for 30 minutes. Preheat the oven to 325 F. Line a baking sheet with parchment paper. Take the dough out of the fridge. Make 12 balls. Place them in the baking sheet and flatten each of them with your hand or some firm object, so that they are 0.4-0.5 inch thick. They should be at least 1.7 inch apart. Bake for 11-12 minutes. Take them out of the oven and let them cool for a few minutes in the baking sheet, and then place them on the wire rack to cool completely. The cookies will be more delicious and softer the next day.